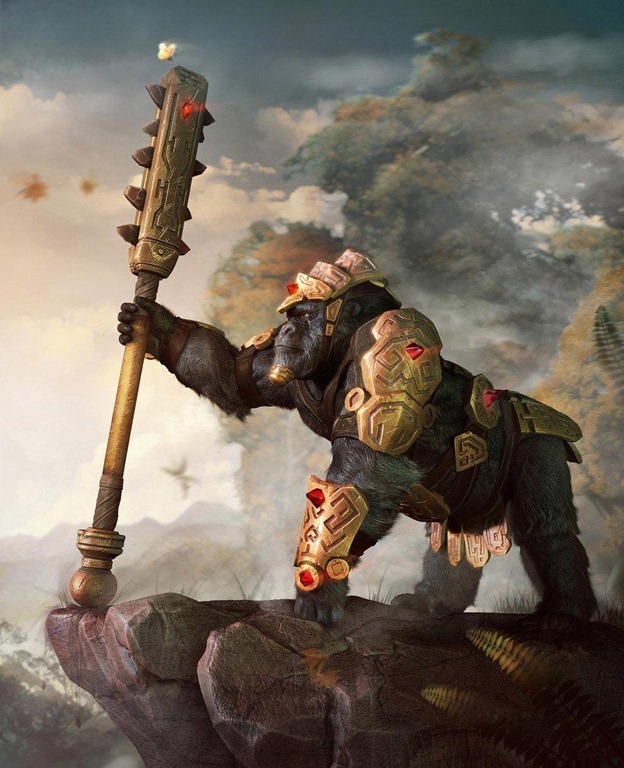 Description: A towering Gorilla of the Ape Summon Contract, Osaru is the leader of the Ape Clan. Standing in at over 20 feet tall, he wields a golden club and adorns himself with golden armor as well. He is fiercely loyal to the Senju Banner and the Land of Forests. His strength gives him great ability in taijutsu and bukijutsu. He also posses the Doton chakra nature, though prefers to fight hand-to-hand. He is a brash and blunt individual, yet is a fierce leader and warrior. Description: A mid-sized ape of the Ape Clan Summon Contract, Yamasaru stands in at 10 feet tall and is a highly respected fighter within his clan. He possess wisdom that nearly matches the Great Ape Sage, though he is still young and has much to learn. He is quiet and collected, choosing to prove his worth with actions rather than words. He can be easy-going most of the time, though his focus is intense during times of conflict. He is easy to work with, working in conjunction with his summoner so long as they are competent. He possess the Suiton chakra nature and has excellent taijutsu ability.